I am fortunate to speak with hundreds of executives each year, in addition to those that I follow and track. Over the years, I have learned a lot about success, what works and what doesn’t, from these talented leaders. One area that successful executives have in common is their ability to get the best out of their corporate relationships. No matter the discipline of the C-suite executive, their technical ability is just the base upon which they start having an impact on their organization. 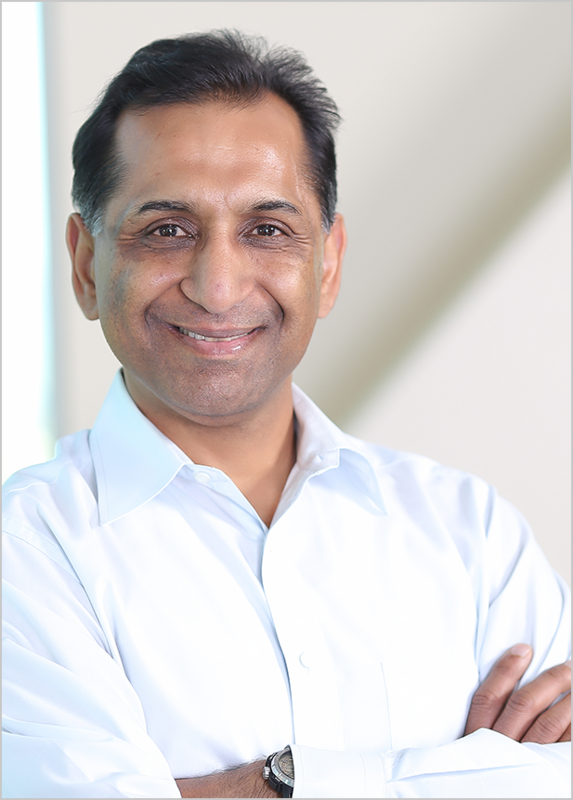 The CXO is not an island, but is integrated into an ecosystem that is mutually dependent. The success of any executive relies on others. Those who recognize, nurture and sustain successful corporate relationships are those that accomplish more. My blogging and recent book, Guide to CFO Success, focuses on my primary audience, the CFO and the Office of Finance. Some of the content is CFO specific, but the guidance with respect to relationships applies across the executive suite. Guide to CFO Success spends a few chapters dealing with relationship management for the Chief Financial Officer. A key tool in this discussion is my CFO Relationship Map, a copy of which is visible below. While I created the Relationship Map for my discussion with my Finance audience, this Relationship Map is useful to all executives who wish to succeed in their own environment. The Relationship Map is a graphical representation of the areas of corporate relationships. They include who you work for (at the top of the map), who you work with (internally, on the right of the map, and externally on the left), as well as those that support you (your team). 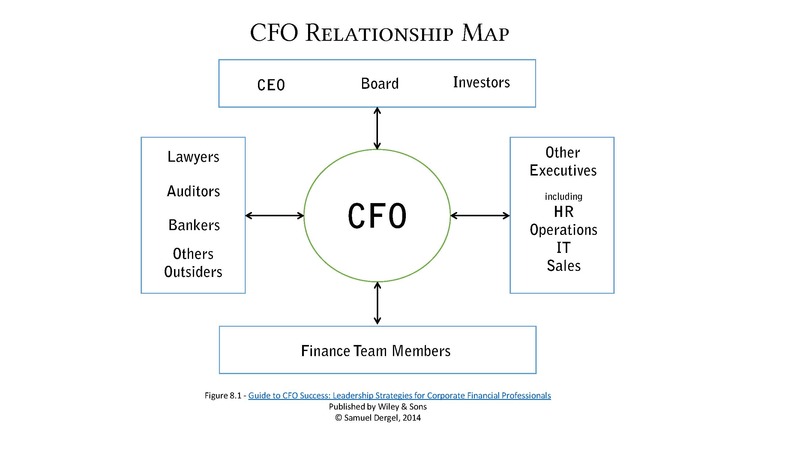 In the CFO Relationship Map, you’ll notice that the CFO reports to the CEO, Board and Investors, and works with the other executives of the company internally. The CFO has a number of important outside relationships, which can include bankers, lawyers, auditors and other advisors. And, as I say in my book, the CFO can only be as good as the team they have allows them to be. Depending on your own situation, your personal Relationship Map will look different. However, like other executives, you have people you work for, work with internally as well as externally, and have people that support you. To read the full article on the BlueSteps Executive Career Insider Blog at this link. You can also map out your own relationships, using this blank Relationship Map or by creating your own. The Roadmap to Successful CFO Relationships shows the relationships that a CFO needs to manage well to ensure their success. One relationship that CFOs have that has the potential for differences and difficulties is the relationship between Finance and Sales. The Sales Department is the lifeblood of a company (no Revenue = no business) and Finance is a support function (albeit an important one). A Strong and Successful company needs to have Finance and Sales working together well. With this context in mind, our new survey for CFOs: Your Relationship with the Sales Department is now ready for your input. Go ahead, answer our survey and share your point of view on the subject. I’m looking forward to sharing insights from these results with you soon.